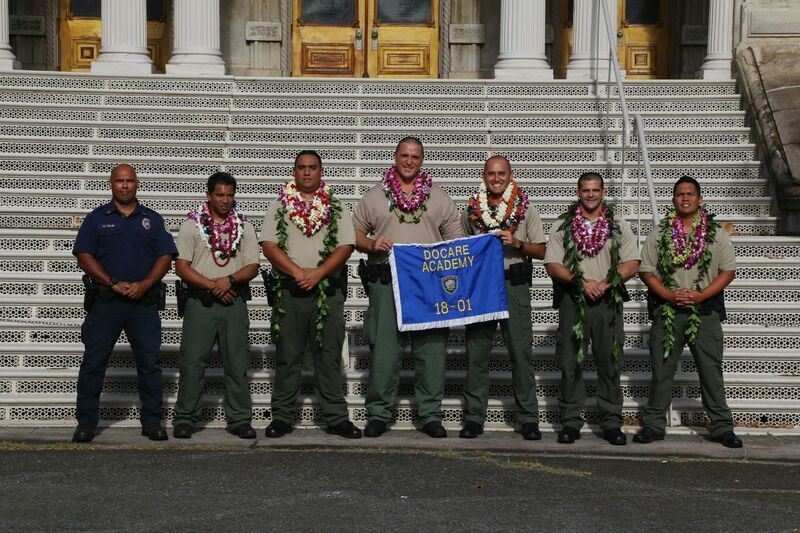 (Honolulu) – During a ceremony today, six experienced law enforcement officers became the first graduates of the DLNR Division of Conservation and Resources Enforcement (DOCARE) Academy. Over the course of six weeks the officers, all of whom come from municipal, state or federal police agencies, received immersive training in conservation enforcement. This first DOCARE Training Academy is considered a lateral academy; meaning the new officers have previous law enforcement work experience. A larger academy for recruits without previous police experience is scheduled for Spring 2019. The full academy for people without any law enforcement experience will include the specialized conservation enforcement training and recruits will be exposed to the kind of basic training required of all police officers.